An estimated 3,700 people were still trapped in Marawi, a municipality of 201,785 people in Lanao del Sur Province in Mindanao, on Thursday as clashes between government forces and members of the Abu Sayyaf and Maute group continued in the Islamic city, according to the International Committee of the Red Cross (ICRC), which is working to ensure their safe evacuation. 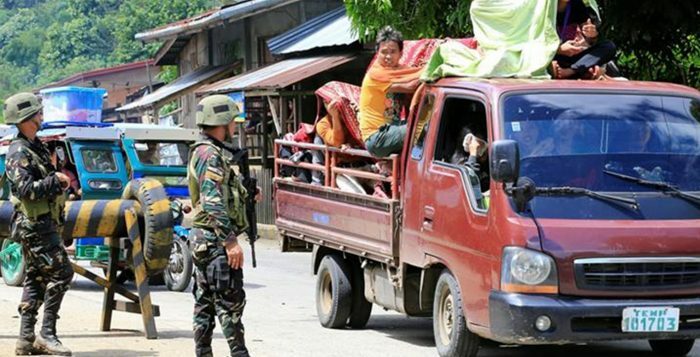 As the violent clashes on 23rd May erupted, residents of Marawi soon evacuated in large groups to safe zones in surrounding areas, including Iligan City, Lanao del Norte, Cagayan de Oro and Misamis Oriental. Strict checkpoints by both Maute groups and government forces, long traffic lines and lost documentation has slowed the evacuation. Only 30,645 individuals or 6,129 families have taken shelter in evacuation centers in nearby cities such as Iligan and Cagayan de Oro and as far away as Davao City. Majority of the displaced have sought refuge in homes of relatives. The latest information from OCHA and ARRM-Heart on 30th May indicate that estimated 90% of the population of Marawi City has been affected. Marawi residents have left the city without necessities, such as extra clothes, livelihood assets or basic hygiene items. It appears that the Christian community (who represent less than 20% in Marawi) has been particularly targeted by the Maute group. Around 20 Christian civilians were killed when they tried to escape Marawi city at a Maute check point. Unicef Philippines has called on involved parties in the Marawi conflict to ensure the safety and protection of children affected by the ongoing fighting there. Unicef estimates around 50,000 children have been affected by the conflict by being displaced within Marawi or to other cities in Lanao del Sur and Lanao del Norte; unable to return to their homes; or are in dire need of basic health and sanitation facilities. “We are deeply concerned about actions that may put children’s life and safety at risk and disrupts their overall development or access to basic social services such as education and health care. The estimated tens of thousands of children who, along with their families, have been displaced in and out of Marawi, could face severe long-term impact on their psycho-social health, their physical health as well as having their education disrupted,” warned Unicef Philippines Representative Lotta Sylwander. As violence continues in Marawi City, there is uncertainty around when the displaced people will be able to return home, placing a serious strain on the resources and facilities available in evacuation centres (ECs) and on the capacity of the local government to accommodate the large influx of IDPs, particularly if the conflict intensifies further or expands. President Rodrigo Duterte, who declared martial law on Mindanao Island, has approved the creation of a “peace corridor” to hasten the rescue of civilians and delivery of humanitarian aid for displaced people, said presidential spokesman Ernesto Abella. He said the corridor will be implemented by the government and the main separatist group, the Moro Islamic Liberation Front, which has signed a peace agreement in exchange for Muslim autonomy in Mindanao, the southern third of the Philippines. Community World Service Asia Response: Community World Service is in contact with local partners in Philippines on updated information on the ongoing conflict. It is closely monitoring and will devise its response plan accordingly. The Super Typhoon Haima slammed a large area of Luzon, in the north of the Philippines on the 19th of October 2016 and particularly damaged the town of Peňablanca in Cagayan Province, where it made landfall. With its wide diameter, the super typhoon battered five regions. The typhoon also brought with it heavy rains which led to landslides, over-flowing of major river basins and their tributaries resulting in surface flooding, and submerging of low-lying areas affecting houses and farms. The National Disaster Risk Reduction Council in the Philippines and its regional counterparts; Local Government Units (LGUs), and various agencies have called for pre-emptive measures that includes activation of 24-hour operation centers, preposition of emergency supplies for relief and operational activities, pre-emptive and forced evacuation, cancellation of travel (by air and sea), cancellation of schools schedules, among others. According to the Rapid Assessment carried out by the Humanitarian Response Consortium (HRC) and Oxfam, an estimate of 13,297 families or 51,458 persons have been affected. Out of these, 10,606 families or 40,515 persons are staying in 334 evacuation centers currently while 2,691 families or 10,943 persons are outside of these centres. As per the initial reports, 258 totally damaged houses, 2,868 partially damaged houses are reported in Lasam and Baggo municipalities. A total of 456 hectares of corn, cacao, vegetables, banana are also affected. Pre-emptive and forced evacuations resulted in fewer casualties in all affected areas though there are some reported deaths and injuries. Clearing operations were immediately undertaken by LGUs and concerned agencies mainly to restore access to major roads. Beddings, construction materials for house repairs, rehabilitation of damaged social structures such as schools and government buildings are an urgent need at the moment. Support to rehabilitation and recovery of farms of rice, corn and vegetables is also prioritized as this may result in food shortage as Cagayan and Isabela are two of the country’s primary source of rice and vegetables. Community World Service Asia’s Response: Community World Service Asia is closely coordinating with its partner in the Philippines. Deployment plans have been shared and mobilization of its partners, local personnel and volunteers as well as inventory of stockpile. Community World Service Asia will continue to monitor the situation and will plan its response considering the needs. 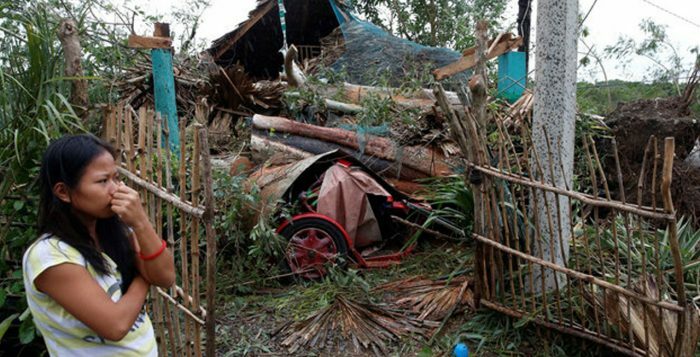 Typhoon Haima (Lawin) made its landfall over Penablanca, Cagayan at 11:00 p.m., 19 October, 2016 and brought havoc to the whole of Cagayan Valley and neighboring provinces of Kalinga, Apayao, Isabela and Ilocos Norte. Heavy rains and strong winds left hundreds of damaged facilities, infrastructures, and disruption of major lifelines including total power failure and communication breakdown. Undetermined number of People in evacuation centers. Initial support has been provided by Baggao Local Government Unit consisting 300 food packs /300 cavans of rice and 600 food packs for Sta. Ana. 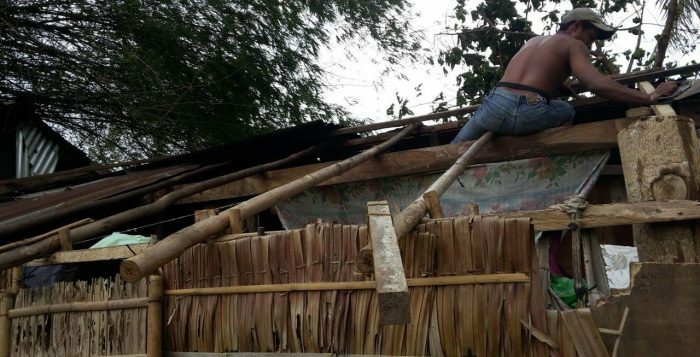 A composite team will proceed to Cagayan Valley to conduct Rapid Needs Assessment. Situation: Typhoon Haima has made landfall in the northern Philippines as a Category 4, making it the second typhoon of that intensity to strike the area in just a few days time. 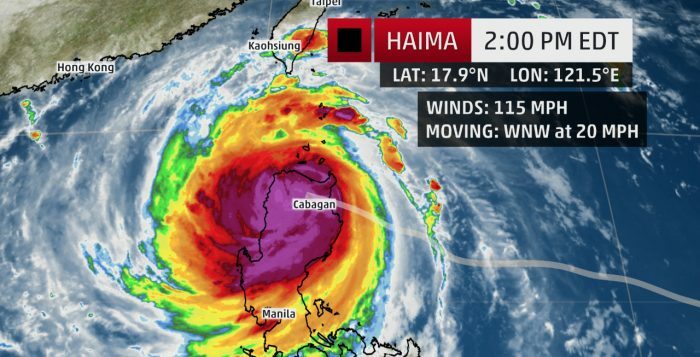 The Philippine Atmospheric, Geophysical and Astronomical Service Administration (PAGASA) said that the center of Haima, known as “Lawin” in the Philippines, came ashore at around 11:00 pm Philippines time on Wednesday near Baguio in the Cagayan Province. Maximum sustained winds were 140 mph at that time, according to an advisory issued by the Joint Typhoon Warning Center. After topping out at Category 5 intensity late Tuesday-early Wednesday, Haima weakened some just before making landfall on northern Luzon Island. It remains a powerful and destructive typhoon, however1. It is expected to move westward through the mountainous northern end of Luzon and will exit the landmass by Thursday. It is then expected to track towards southern China. Heavy rain and strong, damaging winds will continue to hammer northern Luzon through Thursday. Coastal areas will see battering waves and storm surge flooding, as well. PAGASA also says a storm surge of up to 10 feet is possible along more surge-prone bays of northeast Luzon. Signal No. 4 is also raised over the provinces of Ilocos Sur, Mt. Province, Ifugao, rest of Abra and Calayan Provinces. The rest of Regions 1 and 2 are under Signal No. 3, while Central Luzon and parts of Region 4 are under Signal No. 2, The rest of Region 4, Region 5 and the National Capital Region (Metro Manila) are under Signal No.1 presently. According to the United Nations Office of Coordination and Humanitarian Affairs (OCHA), an estimate of 2.7 million people are likely to be affected while the communities located along the Agno and Cagayan rivers are at the highest risk. It is anticipated that mountainous and far flung areas will be difficult to access as there is a high possibility of damaged bridges, landslides and collapsed infrastructures. This will will hamper access to these communities especially in the mountainous areas of the Cordillera and provinces in Regions 1 and 2.